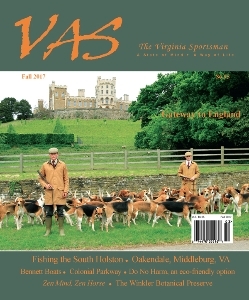 The fall issue of VAS, The Virginia Sportsman magazine, www.thevirginiasportsman.com, features Gateway to England, a collection of companies that arrange bespoke hunting, riding and sporting adventures. 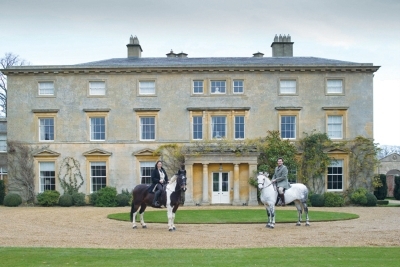 Author Octavia Pollock is an English country girl who writes for Horse & Hound, The Field and Country Life. For the last three years, she has been traveling and fox-hunting around the U.S. The Virginia Sportsman magazine focuses on country living in the United States with stories about horses, shooting, sailing, fly-fishing, boating, hunting, gardens, estates, interesting destinations, cars, arts, food and wine. Enjoy the superb photography and captivating stories quarterly. Subscribe Here - www.thevirginiasportsman.com/subscribe - to receive a print or electronic subscription.